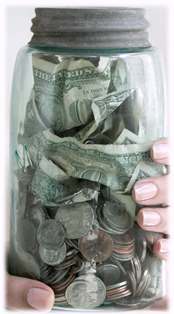 Frugal living ideas, tips & resouces to save money every day. What exactly is frugal living? Interested in some practical ways to save your family money? Frugal living does not mean sacrificing your quality of life. Whether you’re single or have a family of 5, we all want to know ways to save money and cut back in our day to day lives. This site will provide you with tips and secrets that have helped my family do just that. I believe getting back to the basics must be a priority. Simplify your life and make room for happiness. By simply making just a few changes in your household's thinking, you will be saving money, without even thinking about it. It really is that simple. Our generation did not invent the concept, but we will be the ones to keep it going. I have let you in on some of the best ways I have found to save my family money. From DIY projects to couponing. This website is compiled of my best tips & resources on how to be frugal. Frugal living is fun and easy. You should NOT have to break the bank to have quality in your life. I have made a list of my families favorite frugal recipes. I cannot wait for you to try them and share yours too. Visit my Menu Planning page for a free downloadable menu template. this has got to be one of the best resources you will find. I know with the success of TLC's 'Extreme Couponing', you may have jumped on the bandwagon. If you haven't yet, then I'm sure you want to figure it all out. This not your grandmother's couponing that I'm talking about. There's an entire new wave of couponers out there. Regardless of your interest in the 'Extreme Couponing' show, coupons are definitely my biggest money saver. You don't have to be extreme to save money. I'll show you how to cut your grocery bill by at least 30-70%. Check out everything I've got to share and subscribe to my RSS Feed (orange box on the left) to get all of my latest. The best Frugal Living tips & ideas. Menu planning, resources, stockpiling & recipes. Freecycle is a great way to give & receive reusable items. Couponing 101 - The best guide to find, print, organize & use coupons. This page is great for beginers or the experienced. How to make a coupon binder that will work for you. Where to find printable coupons. Everything you need to know in one place. Most commonly used coupon terms & abbreviations. What's SS, RP, MM & ECB all mean?? Menu planning is one of the best ways to save your family money. Plan it & stick to it! My favorite frugal recipes. These thrifty meals will not break the bank. Step by step instructions to start selling successfully on eBay. A little info about me and why i built this site. Is it really cheaper? My best frugal homemade Peanut Butter recipe.